Campbell's Cottage: The Wolf is Free! 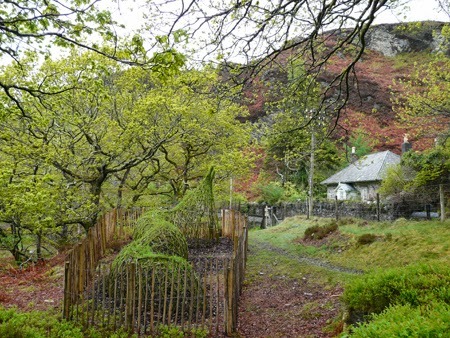 For four years the willow wolf in Coed y Bleiddiau has been imprisoned within a picket fence. It was for his own good really, to keep hungry goats away. But now he’s a fully grown, mature wolf, strong enough to withstand a bit of bark nibbling, so the wardens have removed part of the fence in order that children (adults too) can crawl into his stomach and exit through the oversized tail. Across from the wolf is the old Railway Inspector’s cottage which many people stop to admire but few know much about its colourful history. 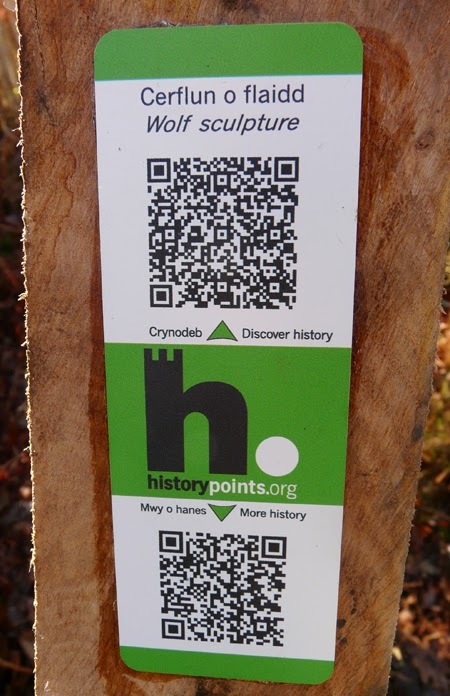 All can now be revealed on the QR code. 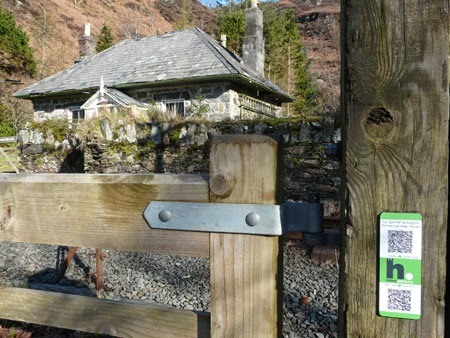 These are just two of the many ‘history points’ to be found along the edge of the Ffestiniog Railway and are part of the 750 history locations across Wales. I asked Rhodri Clark how he chose the name for the website and the project.